Let Our Experience Perform for You! Welcome To Sidney’s Music & Entertainment! Sidney’s continues our tradition of offering flexible and creative entertainment solutions by combining professional musicians and performers with the complete preparation and attention to detail that only experience can provide. Let Our Experience Perform For You! Known to many generations of Washingtonians as Sidney’s Orchestras, Inc., Sidney’s Music and Entertainment remains the regions oldest special events music and entertainment provider. 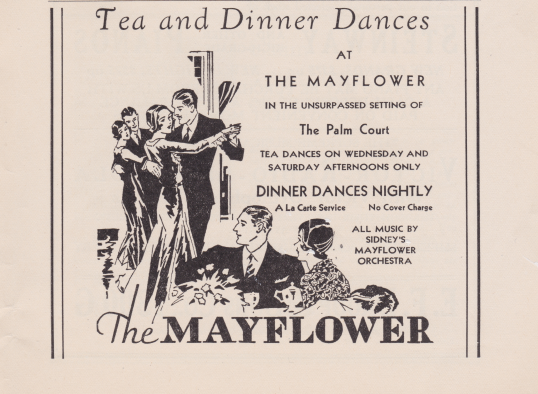 Since 1926 when Sidney Seidenman, Sr. raised his baton to lead the band for the first time at the historic Mayflower Hotel, Sidney’s has served a vast number of clients, both business and social — including every Presidential Inauguration Since Herbert Hoover! For over 90 years, there is probably no request that we have not heard, no occasion that we have not risen to meet. Upon his return from WWII combat infantry duty in Europe, Sidney’s Chairman Sidney Seidenman, Jr., entered Catholic University’s Music Department. After graduating with a bachelor’s degree in music, he went to work for his father as the business manager of Sidney’s Orchestras. Over the following decades, he grew the business, making Sidney’s the premiere name in society music in Washington. After becoming president of Sidney’s in 1972, he expanded the musical roster to include rock and pop bands, which performed in the area’s top hotels. 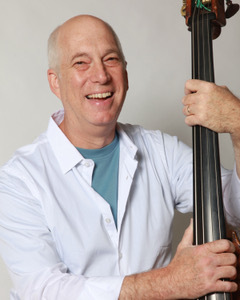 After many seasons as principal bassist with some of Washington’s finest ensembles and theaters, Robert Dodelin joined Sidney’s in 1986. Now as owner and president, he brings experience that ranges from national television and studio work to directing musical groups for gala social and corporate events, to his tenure as music director of the Salon Orchestra of Washington. Mr. Dodelin holds a bachelor’s degree in performance on double bass, and a master’s degree in orchestral conducting. We hosted a reception in our home recently and used Sidney’s Music & Entertainment to provide a two-piece jazz combo to entertain our guests. Bob Dodelin was GREAT to work with; he asked all the right questions and brought up things we hadn’t even considered in preparation for our event. On the night of the reception, the musicians arrived on time and were professional throughout the evening. Many of our guests commented on their talent and wide repertoire. Our experience with Sidney’s Music & Entertainment was wonderful from beginning to end and we most definitely will be using them again! Sidney’s has provided the right music for our annual gala for more than 35 years. Bob Dodelin has a knack for knowing what works and how to get it done… from oom-pah horn melodies to pop hits from 1913 to everything in between. Plus, his musicians are unobtrusive, easy to work with, and adept at assisting our own performers. Thank you so very much for sending the violinist, Paul Nangeroni for Valentine’s Day. Paul did such a wonderful job walking around the club playing for everyone to enjoy. I found if very pleasing that he played appropriate sings based on the age of the current audience. Look forward to working with you again! Keep up the great work! Dear Bob, Thank you so very much for the outstanding job you all did for us on Saturday. You made the party. Please put us down for next year’s Annual Dinner. Sidney’s Music & Entertainment is a pleasure to work with, from assigning the right performers to choosing the appropriate music selections. They even learned the themes to “Downtown Abbey” and “Masterpiece Theater” for one of our screenings….from forefront music for our Classical WETA FM showcases to background music for picnics and galas. Bob and his team consistently continue to deliver excellent musicianship and absolutely reliable service. Hi, Bob, Thank you for all that you did that helped make Gavin and Melissa’s special day so joyful. The music at St. Al’s was absolutely beautiful! I wish you could have heard all of the compliments… Your rendition of “The Prayer” gave us chills. The music couldn’t have been more perfect, and it definitely reflected the bounty of love and emotion that filled that very large church. DJ Keith was terrific. We heard lots of compliments on him, as well, and Gavin and Melissa couldn’t have been more pleased. The dance floor was always full, and always with a range of ages (I think we all felt that it was “our” music, which I guess means that it was a great balance). We even got my brother out on the dance floor a few times. Hello Bob, just a quick note to tell you how LUCKY I was to run into you! We entertain frequently and once we hired your services I knew it would be a big success! There is nothing like live music to raise the ambiance of a party! Having your musicians in our home was fun and their varied repertoire and pleasant demeanor are big pluses. Thank you and we look forward to having your guys back for a party very soon! Bob Dodelin and Sidney’s Music have been my source for all things music and entertainment for many years. No matter the type of event, Bob and Sidney’s have repeatedly been able to match up the right music for the event. I have engaged Sidney’s for charitable dinners, industry dinners and private events. I have never been disappointed. What is particularly helpful to me is that I make one phone call to Bob Dodelin as to what I need and I never have to worry. Bob takes care of the rest. On the evening of the event, the band is in place or the entertainer is prepared. The greatest recommendation I can give for Bob and Sidney’s is that I wouldn’t think of looking elsewhere. I will be at their doorstep the next time I have to organize an event. © 2018, Sidney's. All Rights Reserved.